An Indianapolis Metropolitan Police Department officer fired his weapon while responding to an armed robbery at an Indianapolis business Friday evening. 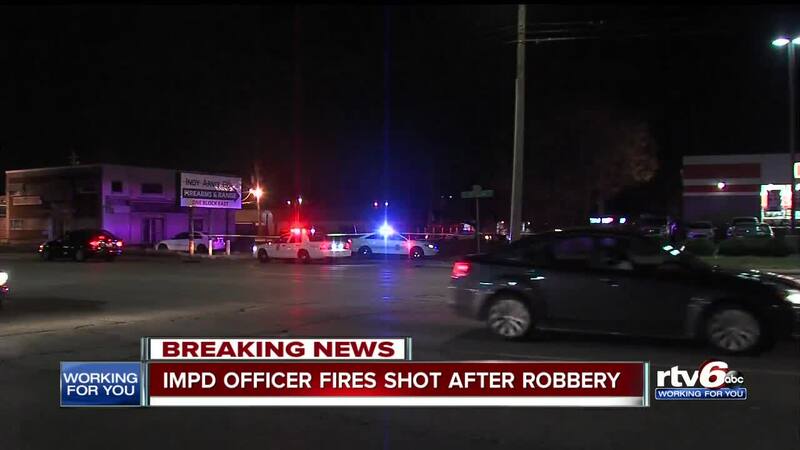 INDIANAPOLIS -- An Indianapolis Metropolitan Police Department officer fired his weapon while responding to an armed robbery at an Indianapolis business Friday evening. 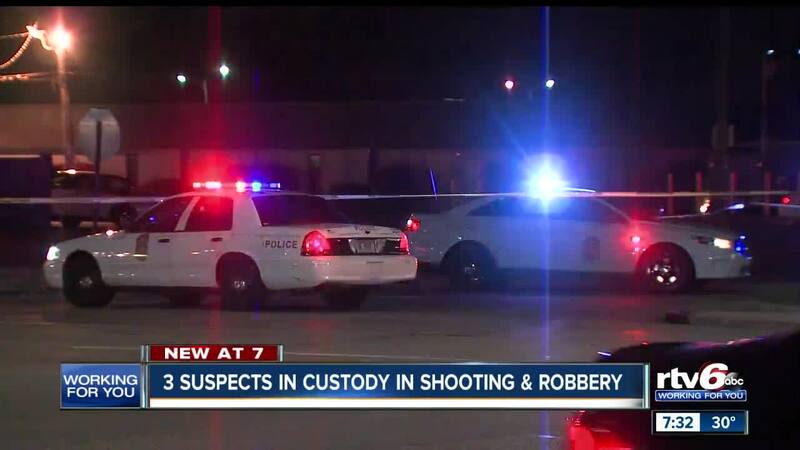 Indianapolis Metropolitan Police Department officers responded to the area of 56th Street and Keystone Avenue around 9:30 p.m. for a robbery in progress. Police say three men tried to rob the Auto Zone. When officers arrived, three suspects came out of the building wearing clothing that concealed their faces. When officers confronted them they noticed two of the suspects were armed with weapons. One officer fired two shots and the suspects fled the scene. It is unclear at this time if any suspects were hit, according to IMPD. The three suspects ran from the scene and two of them were captured a short time later. Police say they arrested the third subject Saturday at his home on the city's eastside. The shooting remains under investigation by IMPD.